Noisily Festival > Latest Noise > 5. 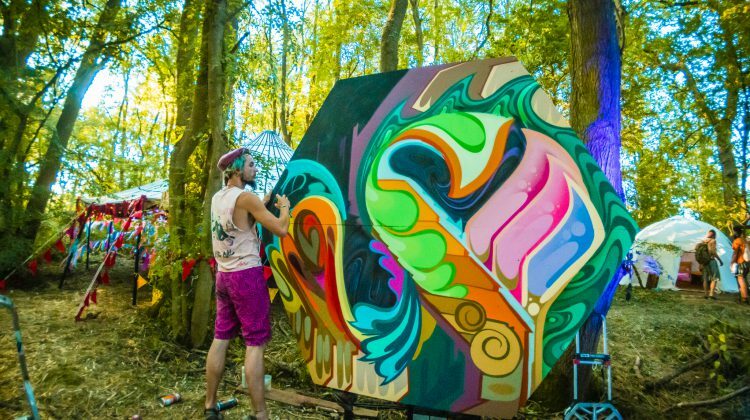 Art > 2019 Noisily Arts Applications are OPEN! 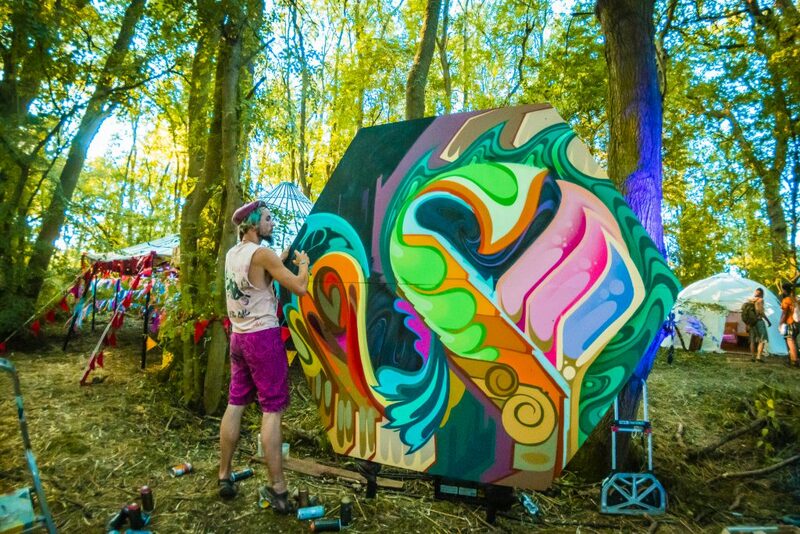 Each year at Noisily, artists and members of the art department work tirelessly to create beautiful and magical art which is spread throughout the festival. These devoted pioneers of all things aesthetic, not only build large scale installations but add the finer details and artistry to complete the overall look and feel of the festival. Through our arts application process we are able to award talented designers, artists and craftspeople with grants, enabling them to build and bring pieces of artwork to the festival. As well as this we encourage emerging artists to bring smaller pieces of work, in exchange for their ticket, in the hope that Noisily can provide a platform for them to access a broader network of talent and inspiration. With each year that passes, we receive progressively more exciting and dynamic submissions, each adding their own brand of magic to The Coney Woods. Incredible installations adorn the festival site, and some of them live there year round. One such work of art is the (considerably) larger than life immersive egg installation, ‘Rebirth’, created by the Madin Collective, a group of international artists and architects who combined their skill sets to produce a beautiful structure from reclaimed materials. This piece not only stood out as a pivotal artwork, it doubled up as a chill space, incorporating architectural function into artistic design. Alice Shepherd’s fascinating ‘Psy- Corals’ also resulted from a successful grant application. The mesmerising Coral Reef was an innovative installation created again from recycled materials. With moving parts and backlit elements this work not only stunned us in the daylight with its detail, but also encompassed a whole new life by night. The sustainable elements of her work made the collaboration fit perfectly with Noisily’s environmental ethos. Our art grants help to cover the cost of creating pieces from artists across multiple disciplines and creative visions. Many of these realised works then go on to tour other arts and music festivals across the UK, bringing joy to many. If you are inspired by this story and would like to apply to bring your own art and creative skills to Noisily please get in touch through our arts application below. We will be awarding grants for £800, £400 and £200. We will have a separate form if you would like to volunteer and join the arts department rather than apply to bring a specific installation. The arts volunteer application will be released in due course, so stay tuned!